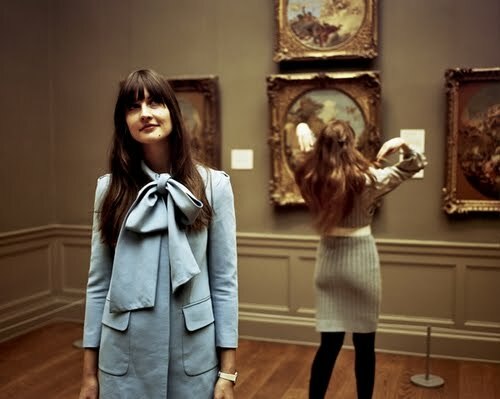 Oh, these photos make me think of my long hours spent in the museums in Vienna last year. By the way, I think I said it already some time ago but your blog is one of my favourite sources of inspiration. Thank you for that. Oh, I wish I could pull off a suit like that! loving that big bow, one color ensemble.